Check Out "Own The Dollar" on Facebook - Become A Fan! 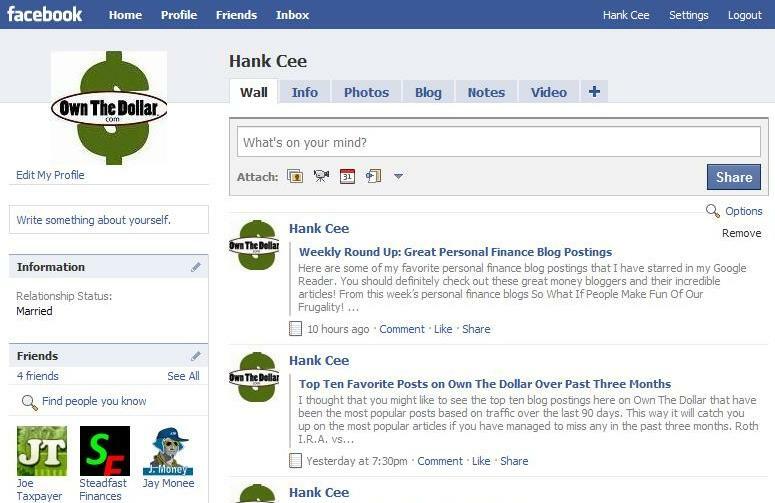 Check Out “Own The Dollar” on Facebook – Become A Fan! I just thought that you might like to know that Own The Dollar is finally on Facebook. I’m not quite sure what the plan is for it yet, but I think that it is another great way to keep up-to-date with the latest from the blog. So, please check it out. Let me know what you think. And, by all means…become a fan! Here is new Facebook page. Friend Me!